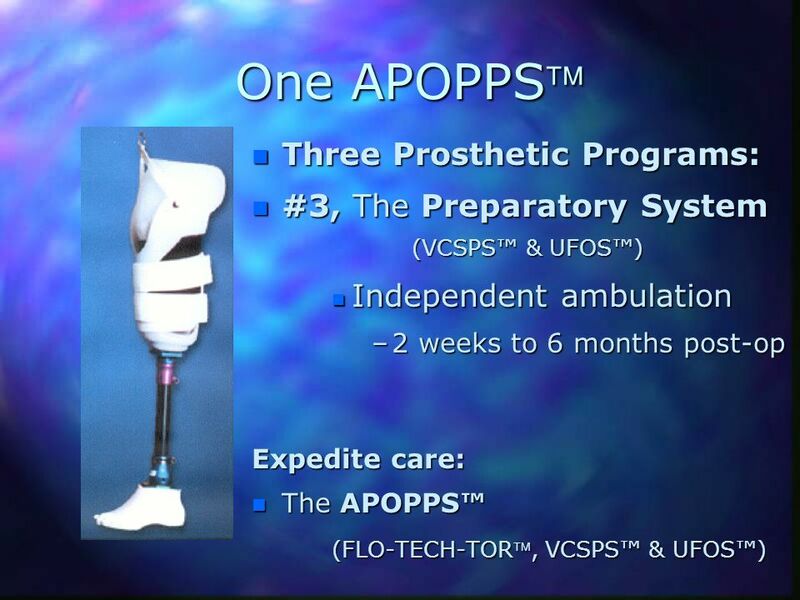 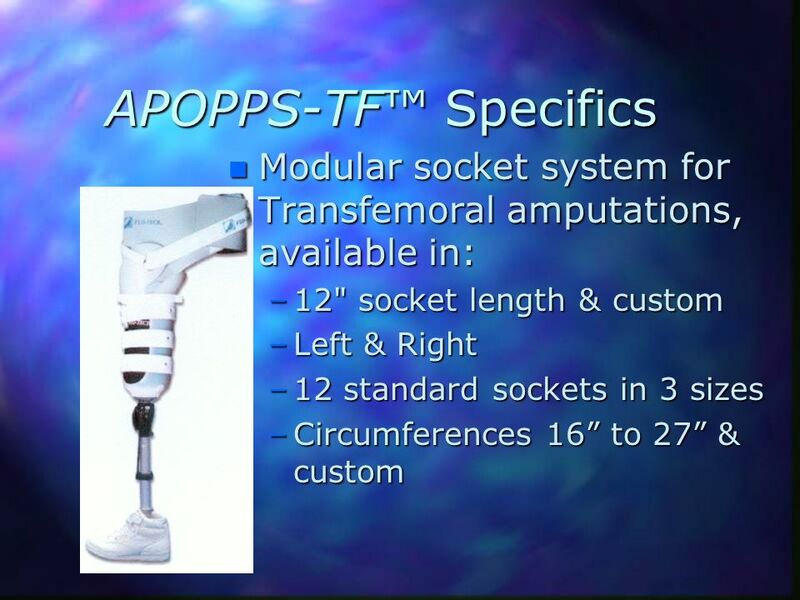 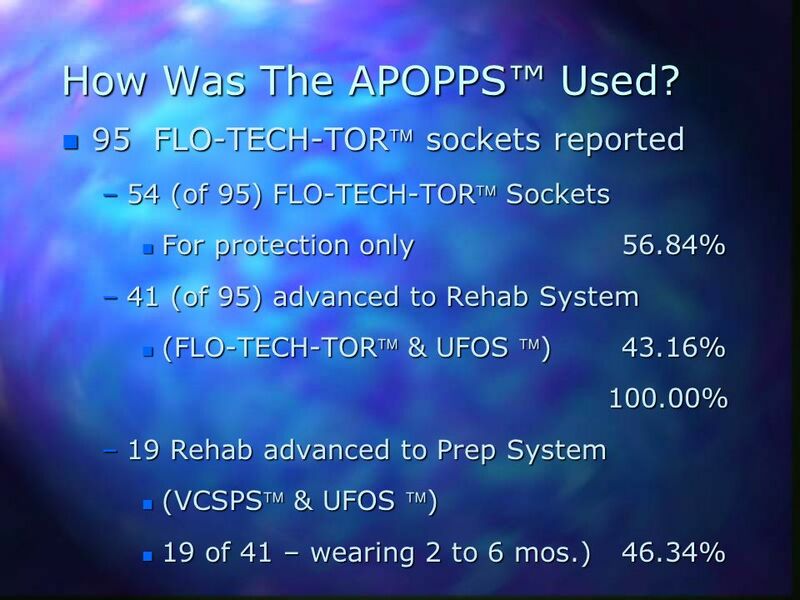 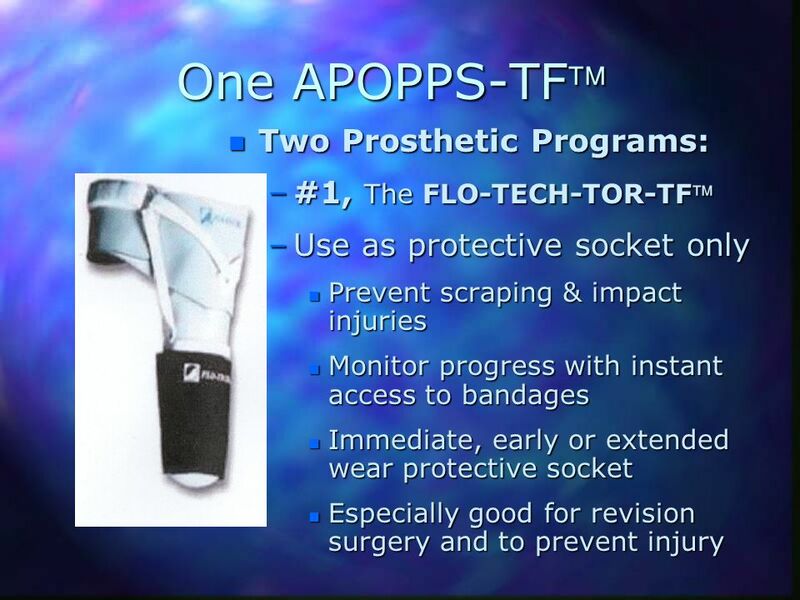 The APOPPS™ & APOPPS-TF™ by FLO-TECH® O&P Systems, Inc.
2 The APOPPS™ & APOPPS-TF™ by FLO-TECH® O&P Systems, Inc. 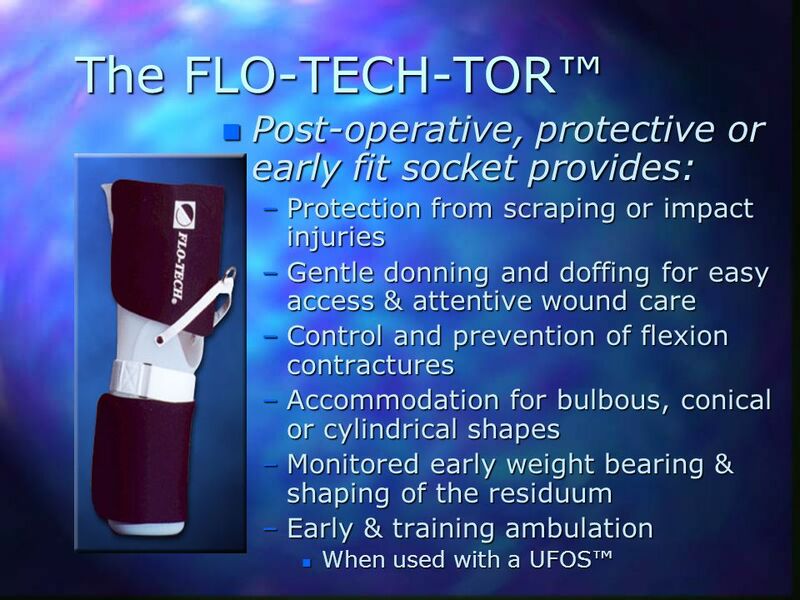 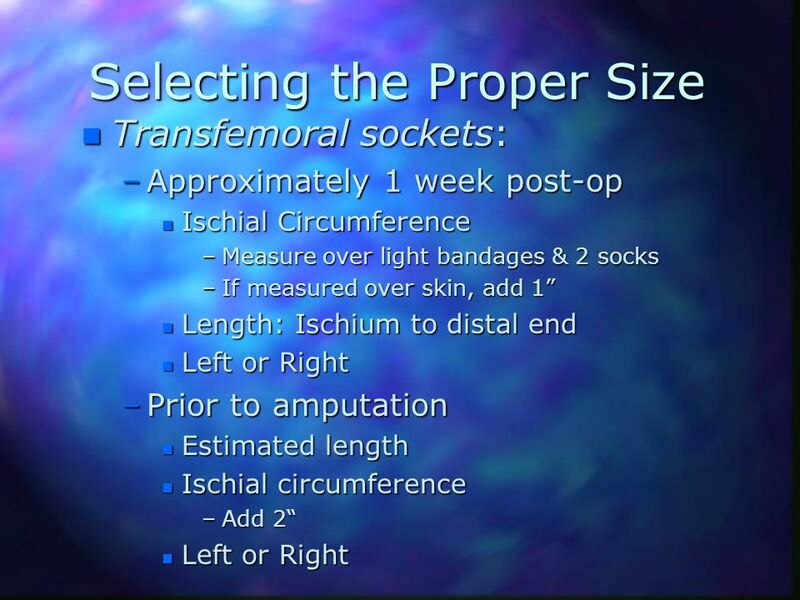 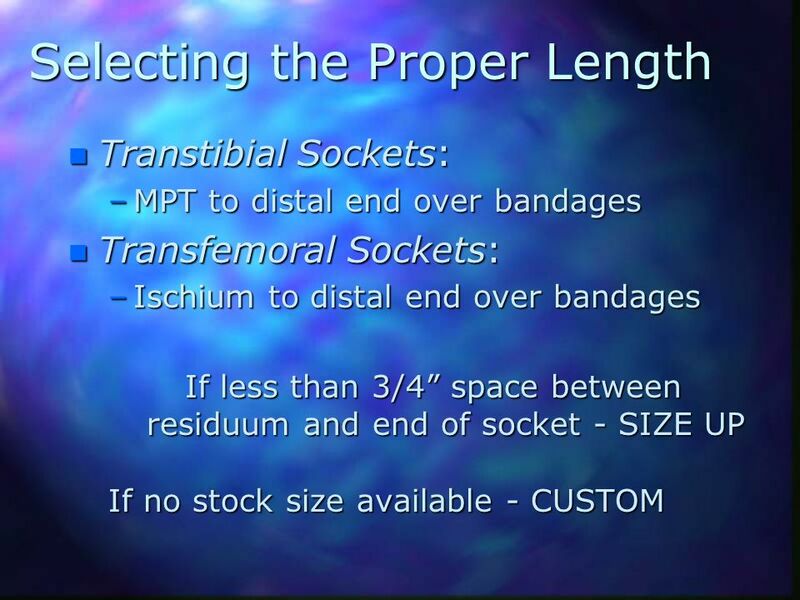 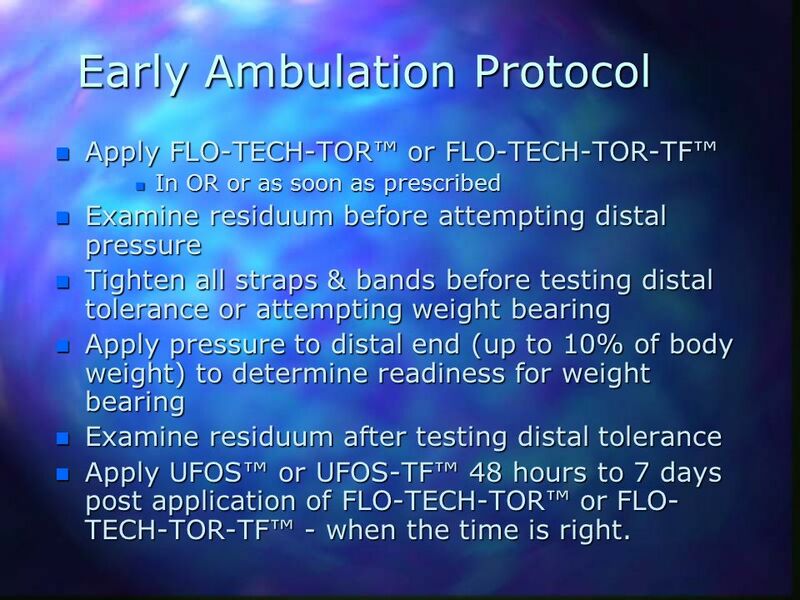 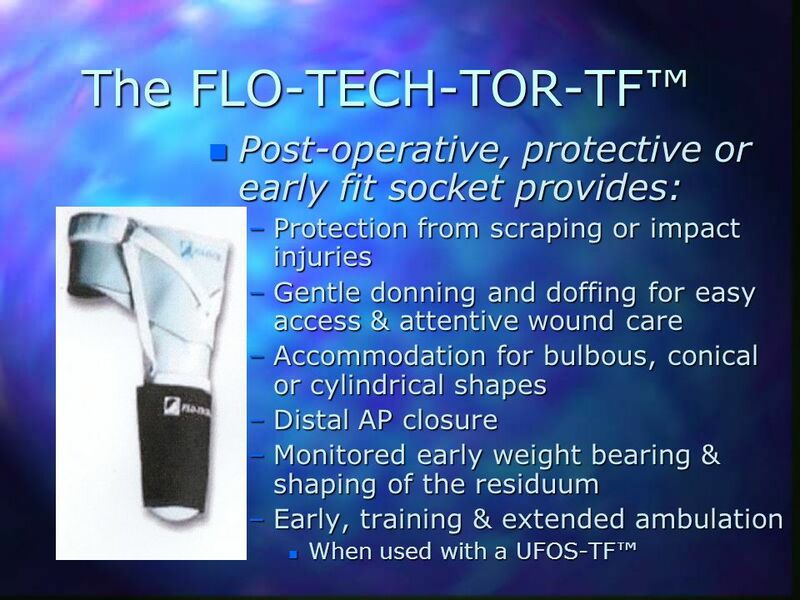 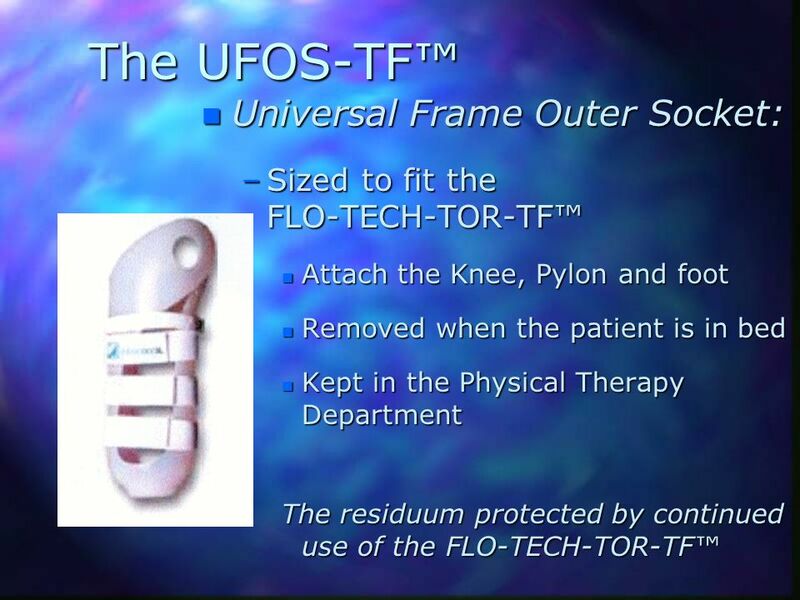 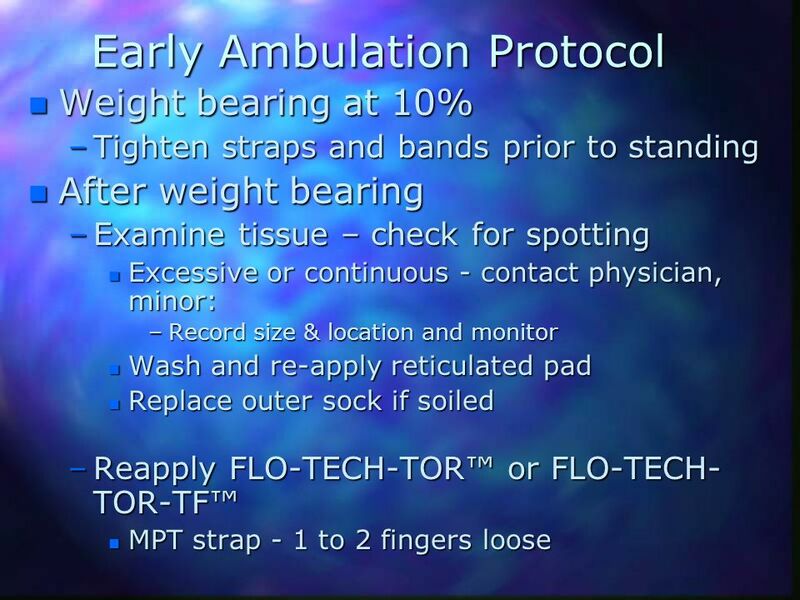 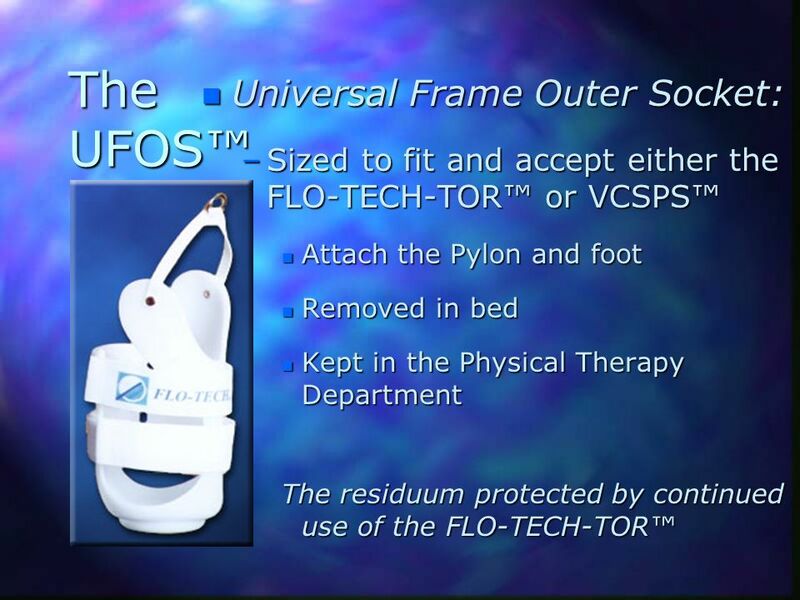 Apply FLO-TECH-TOR™ or FLO-TECH-TOR-TF™ In OR or as soon as prescribed Examine residuum before attempting distal pressure Tighten all straps & bands before testing distal tolerance or attempting weight bearing Apply pressure to distal end (up to 10% of body weight) to determine readiness for weight bearing Examine residuum after testing distal tolerance Apply UFOS™ or UFOS-TF™ 48 hours to 7 days post application of FLO-TECH-TOR™ or FLO-TECH-TOR-TF™ - when the time is right. 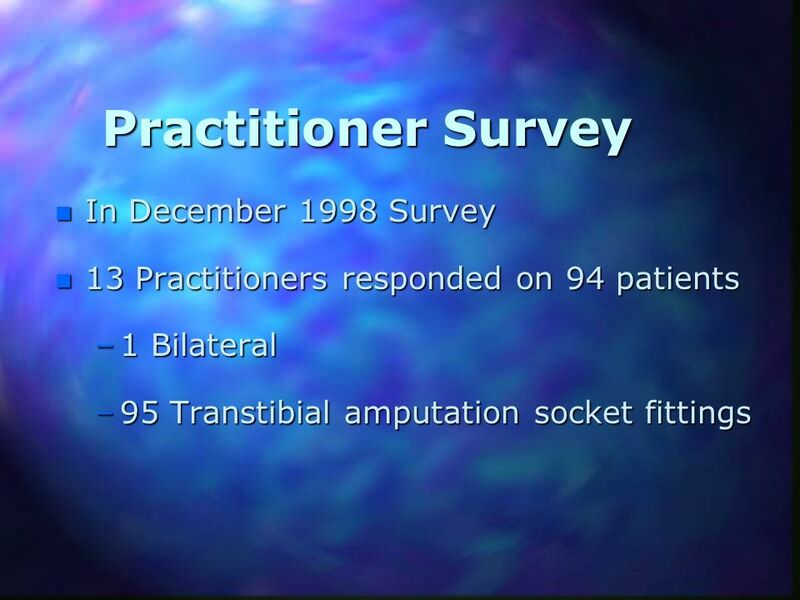 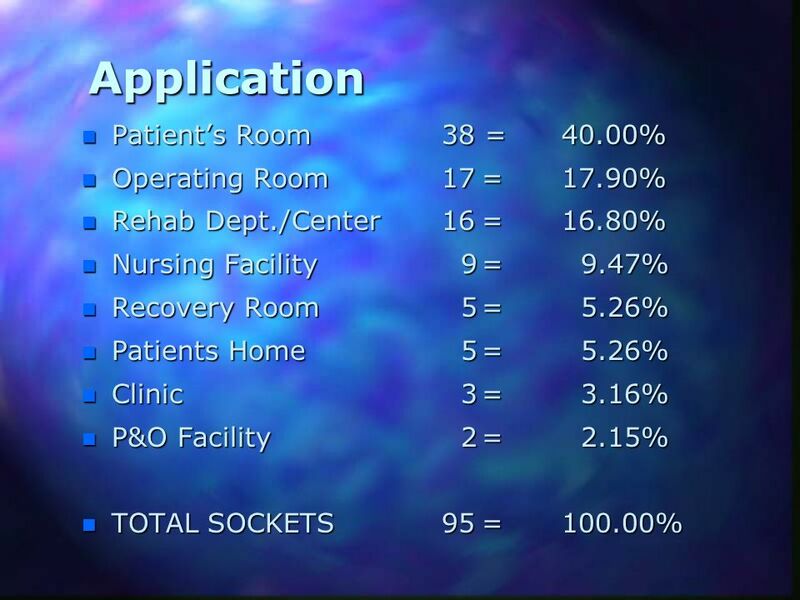 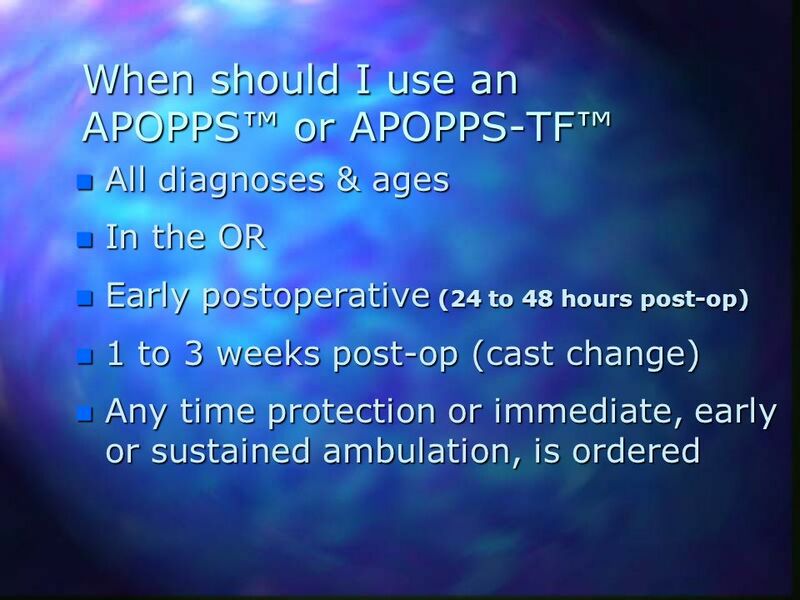 29 How Was The APOPPS™ Used? 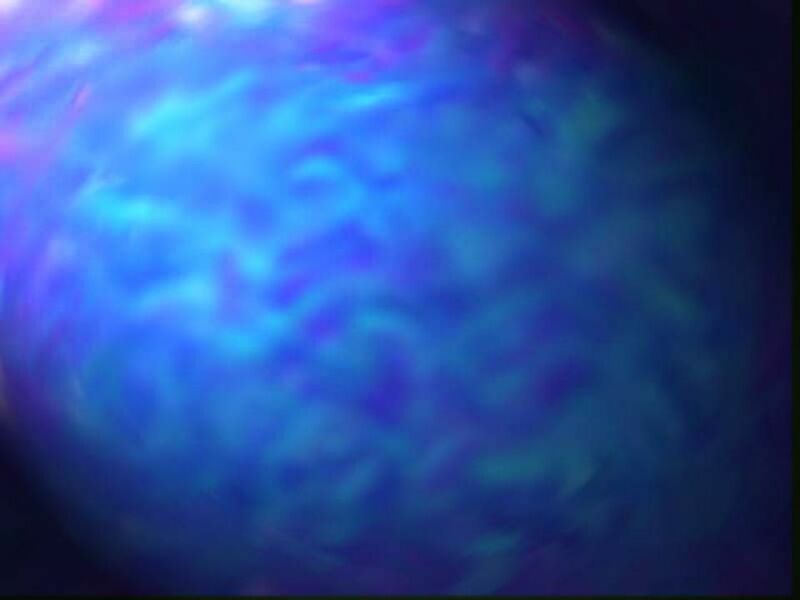 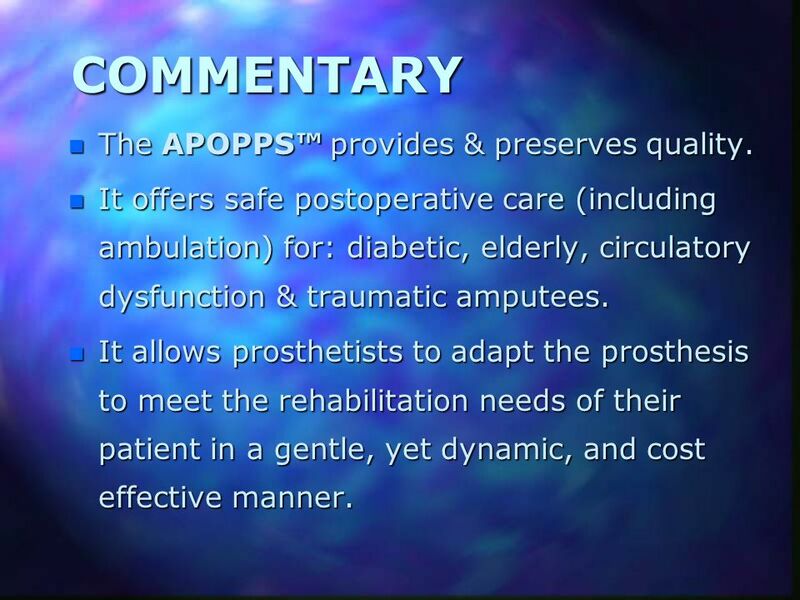 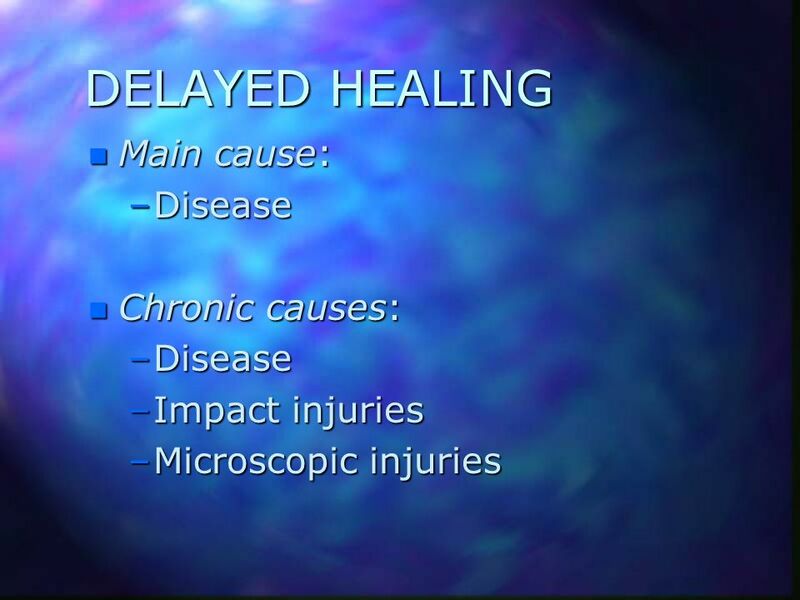 30 COMMENTARY The APOPPS™ provides & preserves quality. 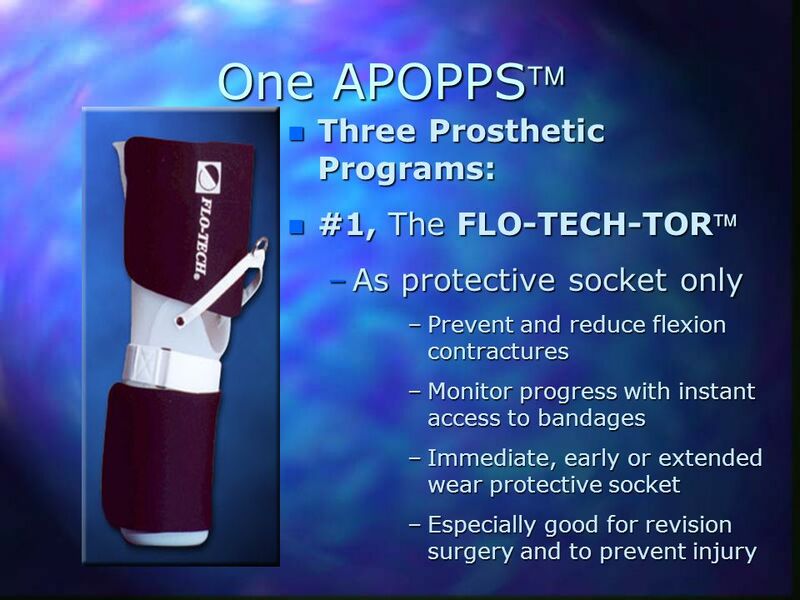 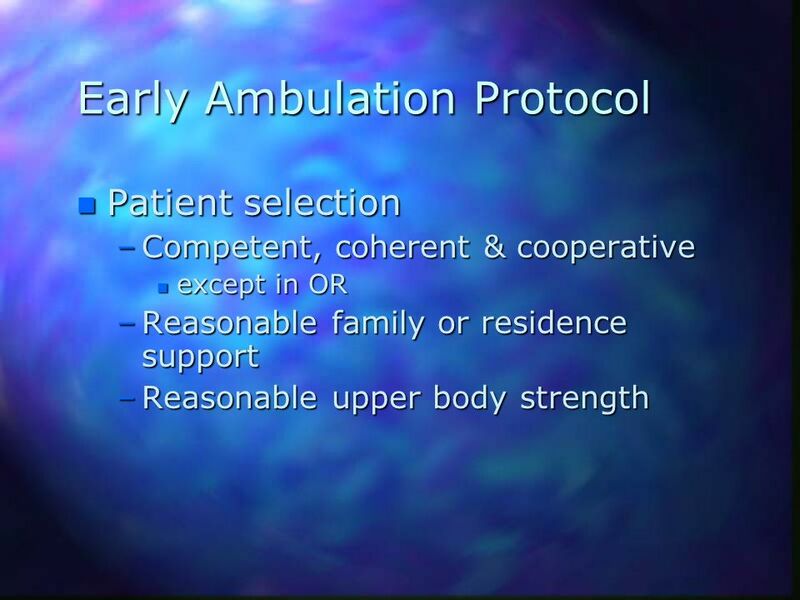 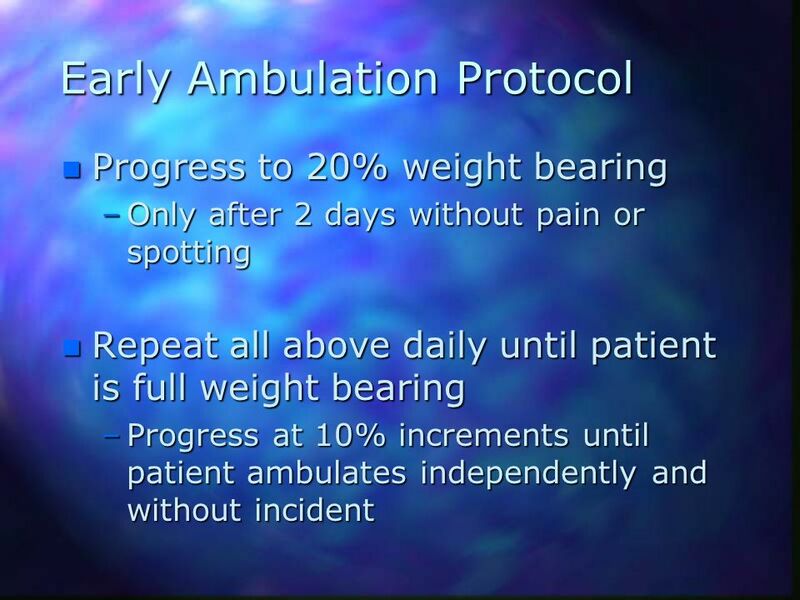 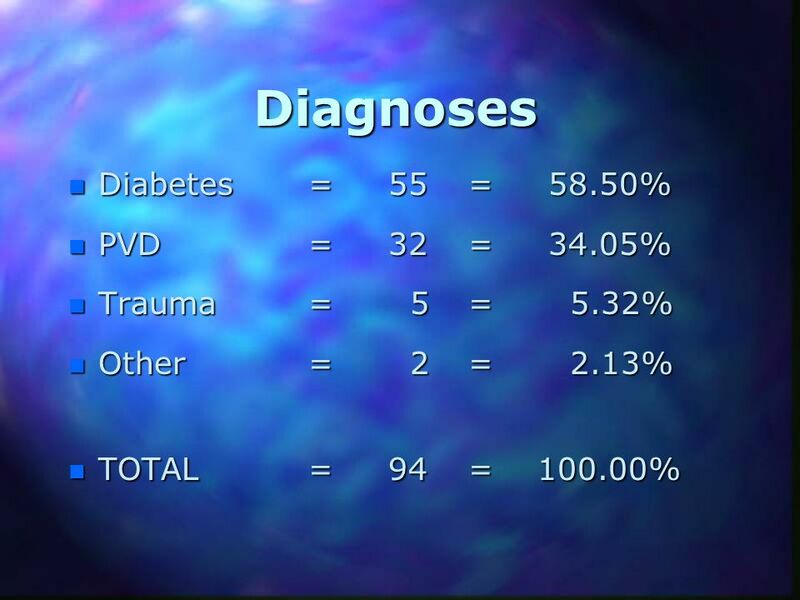 It offers safe postoperative care (including ambulation) for: diabetic, elderly, circulatory dysfunction & traumatic amputees. 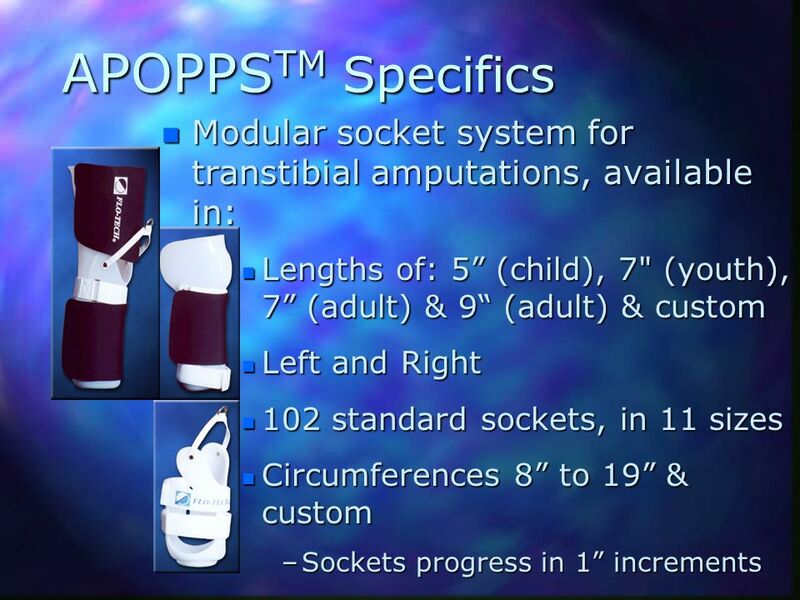 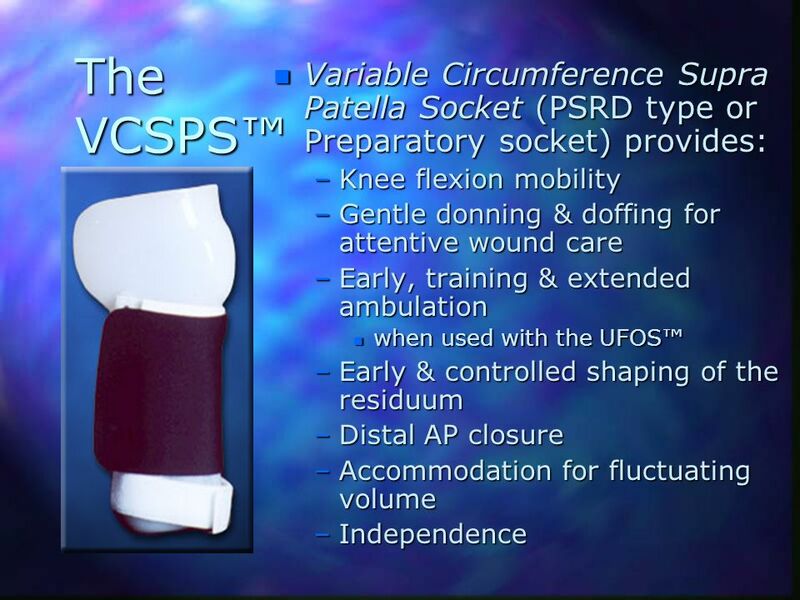 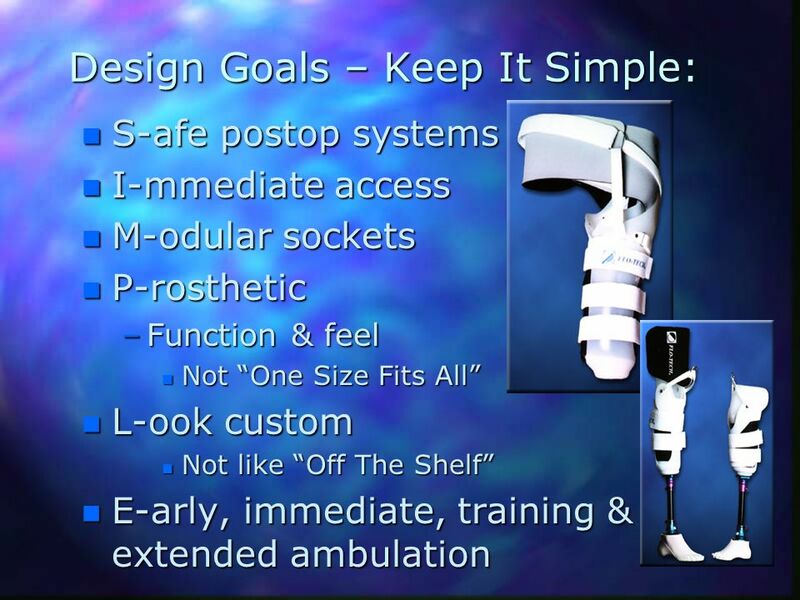 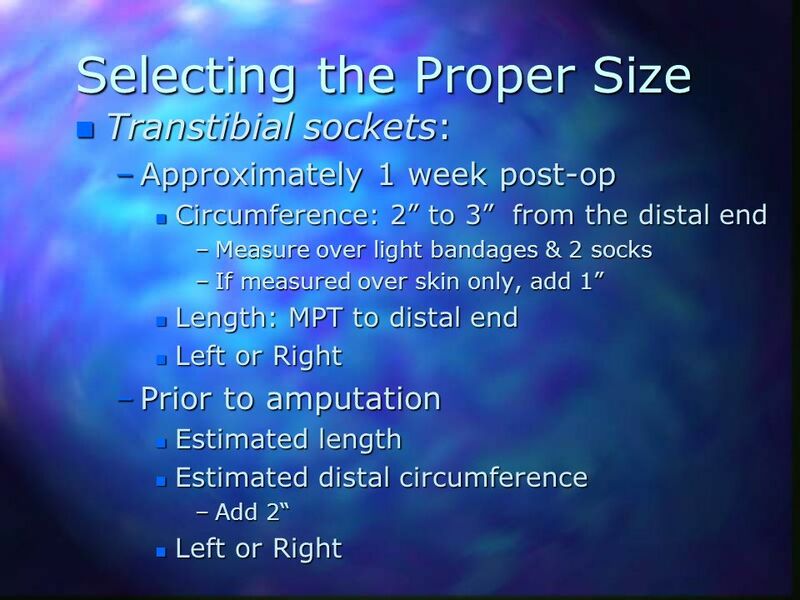 It allows prosthetists to adapt the prosthesis to meet the rehabilitation needs of their patient in a gentle, yet dynamic, and cost effective manner. 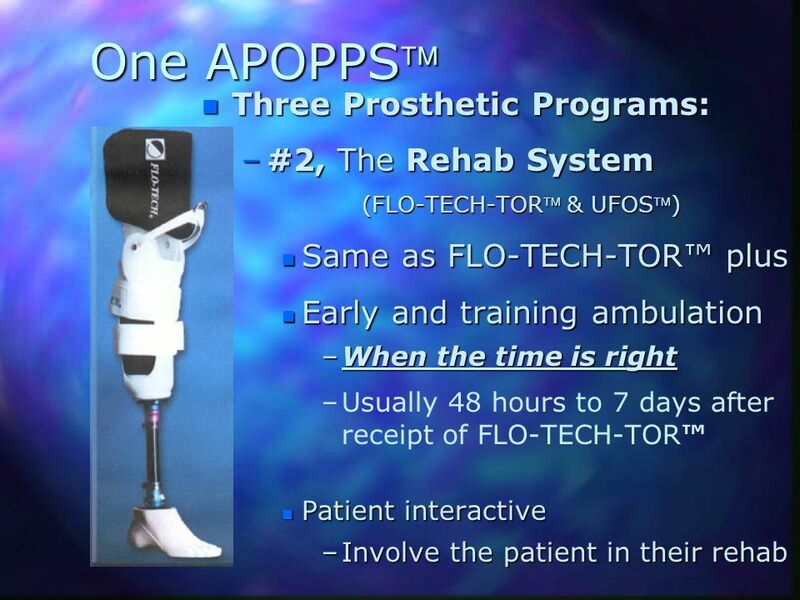 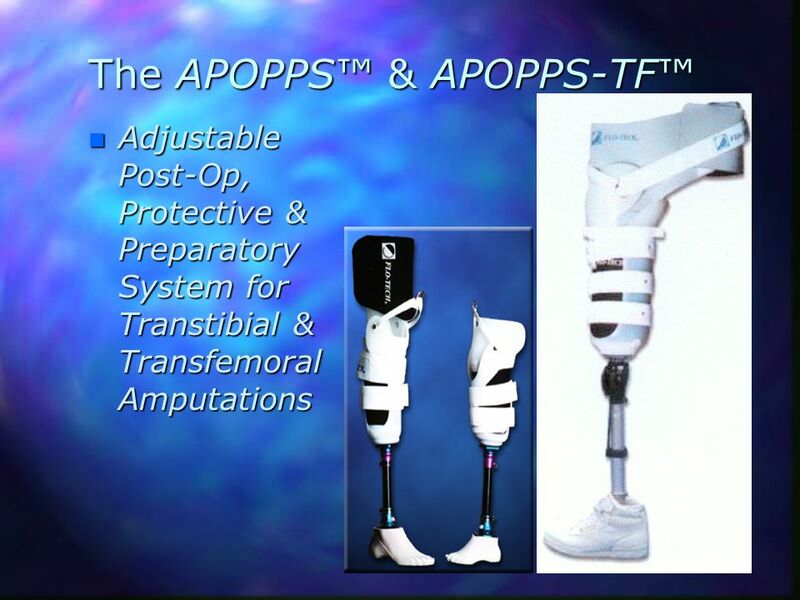 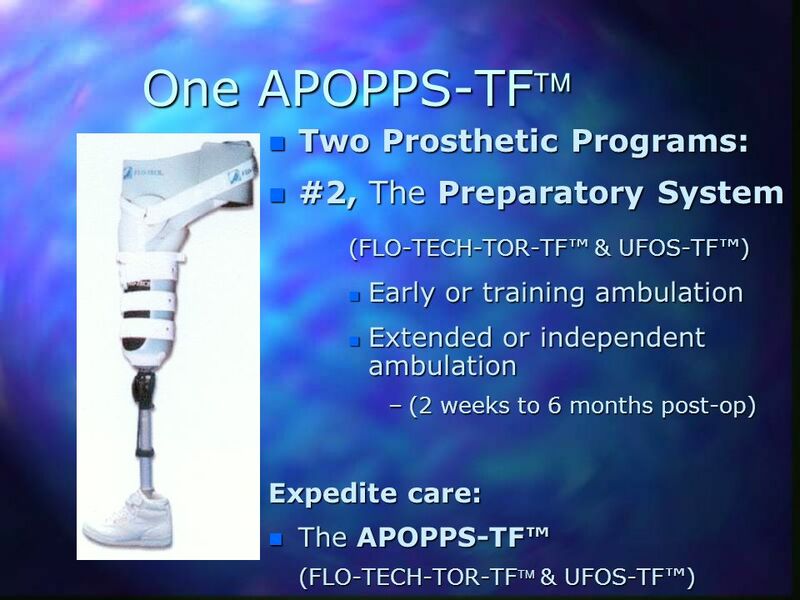 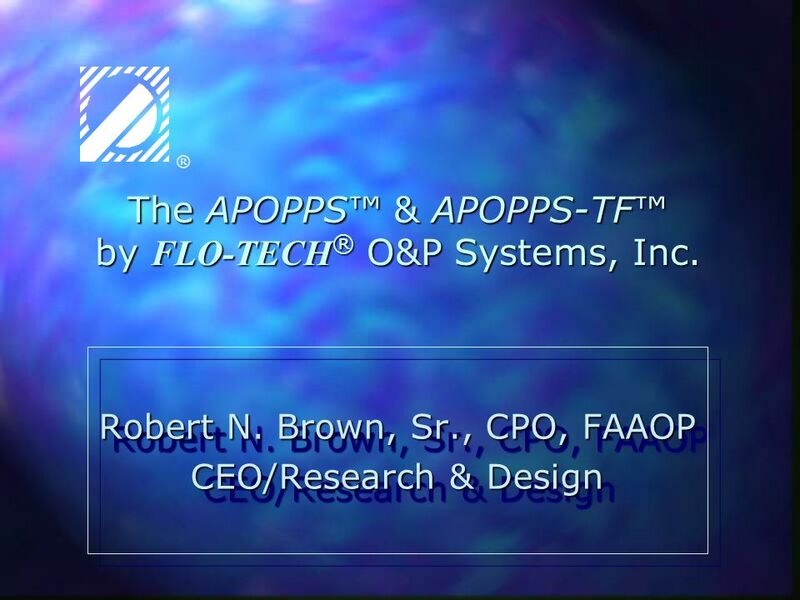 Download ppt "The APOPPS™ & APOPPS-TF™ by FLO-TECH® O&P Systems, Inc."